Wide stretches of beaches well suited for walking and sunning! Perfect place for surfers to ride the waves! Pristine shores protected by coral reefs! A lively surf for boogie boarding and other watersports! Start your vacation here! Explore the North Coast of Barbados! Well known for its spectacular panoramic views, private coves and bays. Crystal waters and white sandy shores await your toes. With plenty water activity options, there's never a dull moment here! View our collections of favourite beaches to find the perfect beach for you! As a tropical island Barbados is home to many beautiful beaches. 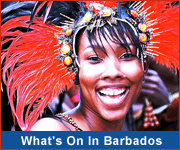 Barbados beaches are as diverse as the island and everyone has their favourite. On the calmer west coast, palms sway on white sandy shores while the azure waters lap gently at the shore. Relax onshore soaking up the rays or take a dip in the clear waters. 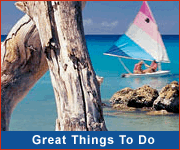 Jetskiing, kayaking, catamaran cruises, swimming and snorkeling all await you. 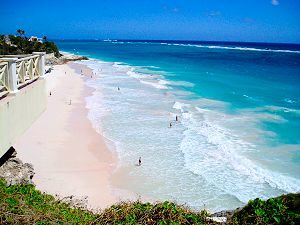 Heading south you'll continue to find flawless sandy Barbados beaches protected by coral reefs. The more lively surf in the south and south-east are ideal for a host of watersports such as windsurfing, kitesurfing and boogie boarding. If you've never tried these before Barbados is the perfect place to start, hey you're on vacation after all! Along the east coast the beaches are wide and wind-blown. Here the shore is pounded by the Atlantic making it a delight for the surfers who come from all over the world. In the north, coral and sandstone cliffs rise straight out of the sea reaching up to a hundred feet in height. But even here, you'll find the occasional sheltered cove. All along the Barbados shores large and small beaches are dotted with coral formations, the soft coral rocks weathered by the ocean surf, forming abstract sculptures pleasing to an artist's eye. Barbados beaches are truly some of the most beautiful in the Caribbean, in fact the beach at The Crane was rated "one of the ten best beaches in the world" by Lifestyles of the Rich and Famous. Barbados is a coral island and its beaches are made from finely ground coral forming a clean fine grain. There are few beaches that are not fine sand. Natural sand dunes are not common but some exist in Long Bay on the south-west coast.